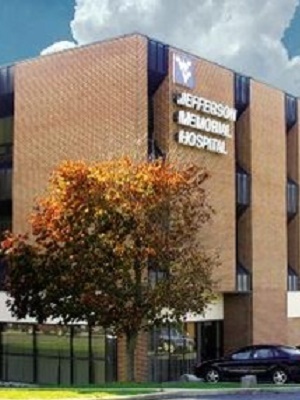 MARTINSBURG – A woman is suing Jefferson Memorial Hospital after she claims it violated the Family and Medical Leave Act. Crystal D. Craig was employed by the defendant as a certified nursing assistant beginning Sept. 11, 2012, according to a complaint filed March 2 in Jefferson Circuit Court and removed to federal court April 1. Craig claims on Jan. 9, 2015, she applied for leave pursuant to the Family and Medical Leave Act because she had to undergo surgery. The defendant granted Craig unpaid FMLA for the period beginning Jan. 9, 2015, and ending on Feb. 27, 2015, according to the suit. Craig claims she had her surgery on Jan. 9, 2015, and was able to return to work before the ending date of her leave period and returned to work on Jan. 27, 2015. The defendant did not notify Craig of any change in the terms or duration of her FMLA leave and on Feb. 6, 2015, she found herself unable to work because of severe abdominal pain in her upper right quadrant, the area which involved her surgery, according to the suit. Craig claims she called the Human Resources office to inquire if her FMLA leave was still in effect and she was informed her FMLA was only for two weeks. The plaintiff called her nurse manager and informed her of the pain, however, even though she missed work that day during her period of FMLA leave for that surgery, she was charged with a point for absenteeism, according to the suit. Craig claims she returned to work the next day and on March 25, 2015, she was terminated for absenteeism. The defendant violated FMLA and caused Craig damages, according to the suit. Craig is seeking compensatory damages with pre-judgment interest. She is being represented by Garry G. Geffert. The hospital is represented by Brian M. Peterson of Bowles Rice LLP.